Hitting Amazon in 2014, the Amazon Echo was the world’s first look at the Alexa voice assistant. The fall of 2017 brings with it a new version of the Amazon Echo, this time with new features, a better sound and an overall better package. While it does not reinvent the wheel, the Amazon Echo 2 is a fantastic addition to the lineup and poses an argument for Alexa to be a more mainstream consumer product. 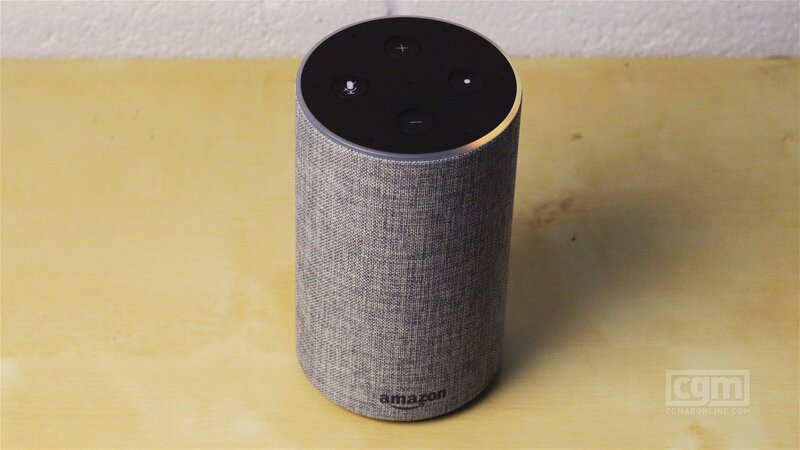 At the core, the Amazon Echo 2 offers the same basic set of features found on the original Amazon Echo (now discontinued). While the feature set remains the same, the overall design has been built from the ground up to be a more modern, consumer-friendly device. 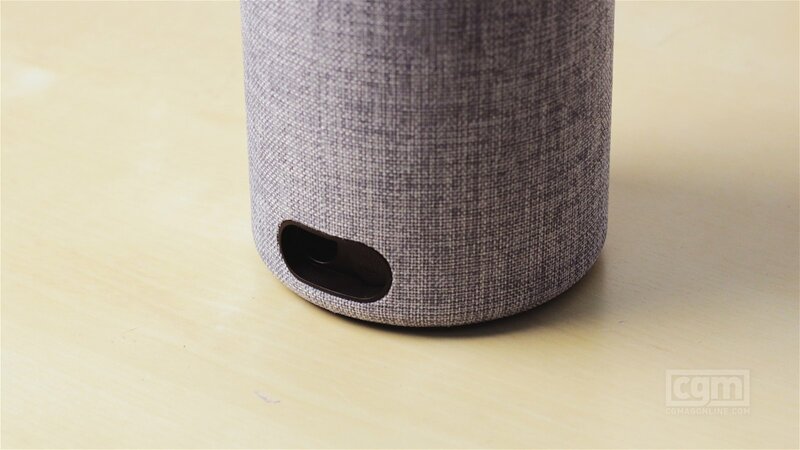 The Amazon Echo 2 forgoes the volume ring found on the original echo, opting for simple buttons to control volume. There are now also a series of little holes in the top of the device for the microphone array, and a mic-mute button that works to kill alarms along with numerous other Alexa actions. Amazon Echo 2 – image for this review credit to CGM Staff. The mics have been improved from the first generation Echo. They are now able to more accurately pick up your voice, even when listening to music or other forms of audio. I was never one that complained about the first gen Echo, but throughout the testing, I have to say the Echo 2 is a much easier device to talk to. I never had an issue with it picking up my voice even over movies or music. The speakers have also seen a noticeable improvement. 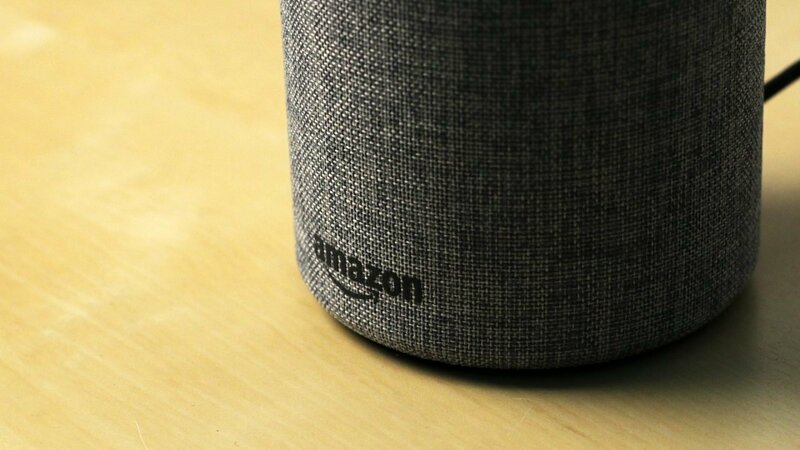 The 2.5-inch woofer is still present, but Amazon has added new tweeters that make for a much more robust sound overall. That, combined with the cloth covering, ensures sound is clear, crisp, and overall fantastic to listen too, and with the built-in Bluetooth, can play music or audio from your phone should the need arise. Now if you are using Sonos or another high-end audio setup, the Echo will not change your mind. While the sound is much better than the previous offering, it still sounds like a good Bluetooth speaker, and not on the level of a full entertainment setup. And while the 3.5mm stereo jack gives the ability for external speakers, if you already have a great audio setup, the Echo 2 will do little to change your mind. The microphone array is also improved. Throughout testing, I found the Echo 2 was far easier to activate with the “Alexa” keyword. I also noticed fewer false positives when talking to the Echo or when having it in the room with a movie or TV show. There will be the occasional false activation, especially when you have a movie with the main character that starts with A, but nothing too frustrating. 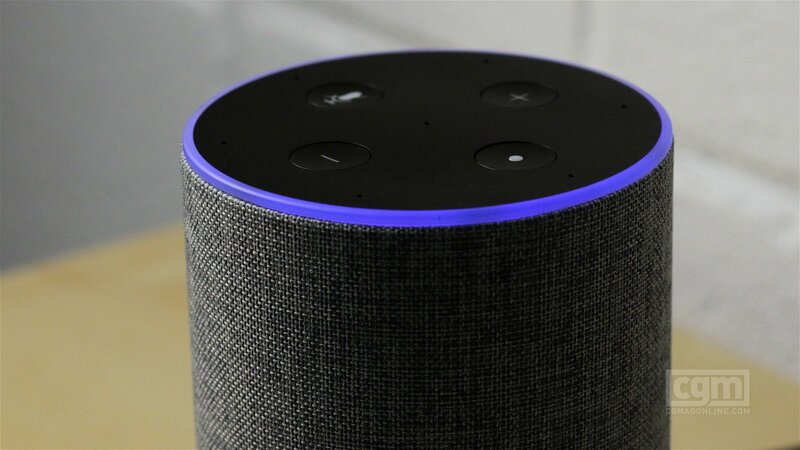 The real selling point of the Echo 2 is Alexa’s voice platform. Yes, the device has been improved, and it is a much more interesting looking device, fitting into modern homes with ease. But it is the platform and the partners that Amazon has wrangled that makes the Echo 2 a worthwhile purchase. From smart home integration to fun games, all the way to lists and chores, the Echo has become infinitely more useful than when it first launched in 2014. The Amazon Echo 2 also hits the perfect feature set vs. price point for anyone looking to jump on the Amazon Echo lineup. While I love the Echo dot, the lack of a real speaker makes it more a supplementary device, while the Echo Plus at $199 is a hefty price tag for someone looking to integrate Alexa into their daily routine. At $129 the Amazon Echo 2 is the ideal point that lets you try it out, and offers enough bang for your buck to make it worthwhile. The Amazon Alexa platform is only getting more impressive as time goes on, and the Echo 2 is the perfect way to experience it. From music to tools, the Echo has become a fun and intuitive way to interact with the device. While I don’t think it is quite ready for the masses, each day it gets closer to the computer we all dreamed about while watching Star Trek: The Next Generation. It is an inexpensive device that packs a slew of features. If you are interested in jumping in on voice assistance you can’t go wrong with the Amazon Echo 2. The Echo 2 provides enough improvements on the Echo line to make it a worthy upgrade or jumping in point.